← Decorating Your House To Sell – Home Staging Tricks You Can Even Use Everyday! Get your lawn looking in tip-top shape this summer with our tips from the lawn experts! The sun is rising early and setting late, giving you plenty of time for all those DIY projects you’ve been putting off. While you are busy decorating the inside of your house, think about your lawn that is out baking in the hot sun. High temperatures and irregular watering and mowing are the primary culprits that lead to fading color, weeds, insects, and disease. 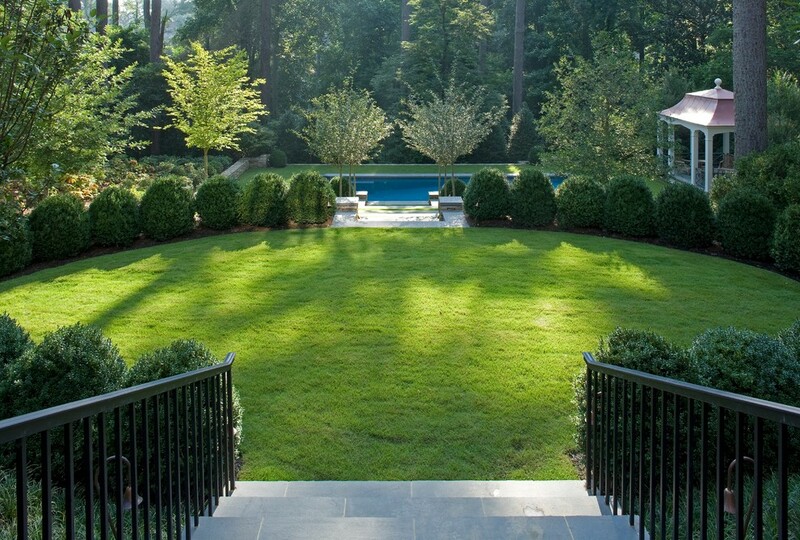 You may be on vacation, but your grass is alive and waiting for some TLC. 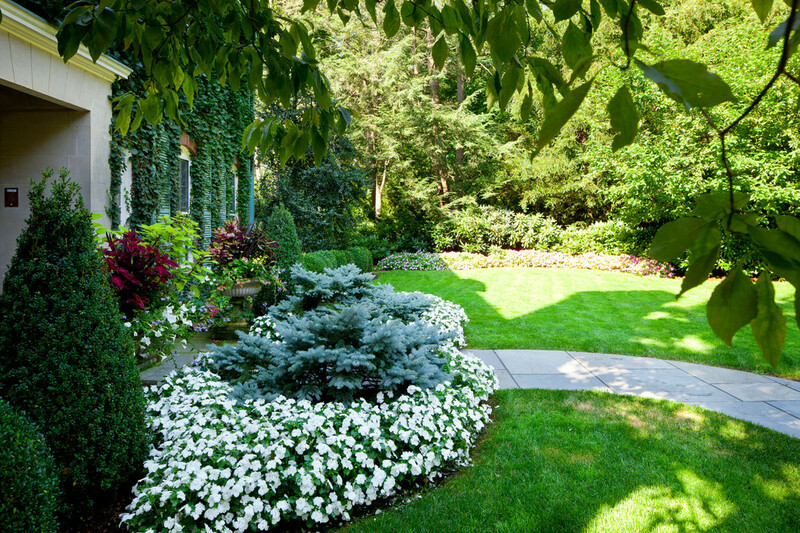 Keep reading for some of our lawn care tips that will transform your grass this summer! If you think you get thirsty when it’s hot, imagine how your lawn feels. Keeping water conservation in mind is very important in some parts of the country, but even given that, there are ways to keep your lawn well hydrated and looking good. Water first thing. Watering in early morning gives time for the soil to soak it up before it begins evaporating under the midday sun. However, because a lawn that’s continuously wet can encourage fungal diseases, set the sprinklers to start just after the dew dries on the grass blades. Water past the topsoil. If the water doesn’t penetrate past the top layer of soil, it will dry out before the grass can make the most of it. Watering deeply also forces the grass roots to grow as they look for moisture, which makes them stronger and better able to deal with summer stress. Water less frequently. You don’t have to water as often as long as the lawn is getting enough water over a week’s time. An established lawn needs about an inch of water every seven days. It’s easy to check on that by putting some empty tuna cans around the lawn and seeing how much water is in them at the end of a week. Do a simple test. If you can poke a screwdriver into the ground without much effort, your lawn is getting enough water. It sounds like a good idea to let the grass grow long and then mow it down short so you can stretch out the times between needing to get the lawnmower out. But the lawn will suffer for it. Sharpen up. Sharp mower blades make nicer cuts and eliminate pests, and that’s what you want, because ragged edges are an entry point for disease. You can generally expect a blade to stay sharp enough through about ten hours of mowing time. It’s a good idea to have a spare sharpened blade at the ready in case the one you’re using stops operating efficiently midway through a job. Cut just enough. Your lawn has a recommended height range. Look up what yours is and then keep your mower set to remove just the top third of the blades . (Generally, when your grass is between 2 to 4 inches high.) Cutting the grass too short exposes the soil to sunlight and removes too much nutrients from the leaf blades, letting weeds pop up. Don’t bother cleaning up. Since you’re only cutting about an inch each time, you get the bonus of being able to leave the clippings in place as mulch and shade for the soil. Heat-stressed lawns are easy prey for insects and disease. The best summer lawn treatment includes pest control. • In some regions, grubs are a problem, and they hatch over the summer, so consult with your local garden center to find out the best time to use grub control. • Summer is the time for fungal diseases, so you may need to use a fungicide. Powdery mildew and brown patch disease thrive in extended periods of wet grass, so don’t water at night. You can spot-treat contained areas of weeds, but summer isn’t a good time for broad applications of herbicides because they can stress the grass. Skip the gym and get back to basics by removing weeds like dandelions, clover, and chickweed by hand. Over-fertilizing can burn your lawn, particularly under a hot summer sun. While spring and fall are the times to fertilize a cool-season lawn, warm-season turf does need extra nutrients during its summer growing season. Use the recommended fertilizer for the type of grass you have, and don’t over-do it. Don’t over-burden it full time with heavy toys, lounge chairs, hoses, and other things left where you used them. Take a few minutes to move those objects off the lawn or stow them elsewhere. Cool-season grass will go dormant in dry mid-summer heat. Leave it alone and don’t force it to revive itself. The lawn will come back on its own once the weather cools. Most turf grass can make it through a dormancy of three to four weeks without dying. Be nice to it, though, and don’t mow or allow hard play or too much foot traffic on it. Deep watering will encourage root growth once the heat spell is over. 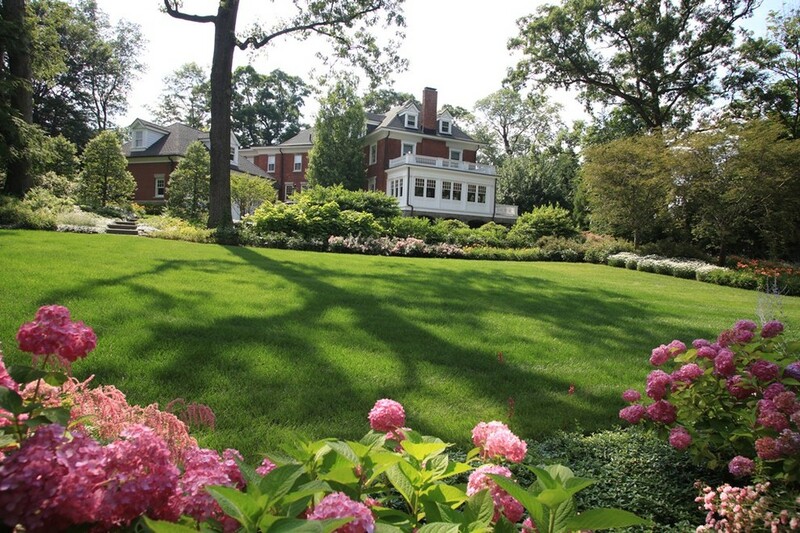 BDB Tip: For more info on keeping your lawn healthy this summer, check out The Lawn Institute. This entry was posted in DIY and tagged green grass ideas, how to make your lawn green, lawn care tips, lawn grass diy. Bookmark the permalink.